Have you ever thought about making a podcast, but didn’t really know where to start? Don’t stress – you’re not alone. There’s a lot of people out there who aren’t quite sure what a podcast is, let alone where to begin. Then, when it comes to actually creating a podcast, the options are a little daunting. How do you decide how much space and bandwidth you need? Is there a free option without ads? Do I need a professional set-up just to make it half-decent? It’s a world of confusion. Today we’re going to try to clear up all that confusion for you. Podcasts are essentially a series of video or audio media files which can be subscribed to using a syndicated feed such as RSS or Atom. The name “podcast” came about by blending the terms “iPod” and “broadcasting”. In fact, iPods have never been essential to subscribing to a podcast, but the term has nevertheless stuck. There are plenty of ways to make a podcast. Essentially, you just need to get the two essential ingredients working together: video or audio media and an RSS/Atom feed. A self-hosted WordPress From Wordpress to iTunes: How To Podcast With Wordpress From Wordpress to iTunes: How To Podcast With Wordpress Read More blog with sufficient file space for audio/video media. YouTube (provides video hosting and an RSS feed for free). Blip.TV (provides video hosting and RSS feed for free). A dedicated podcast hosting service. What Amount Of Storage & Bandwidth Do You Need? With audio files, space consumption does vary a lot depending on the audio compression. A generous estimation for MP3 is that you will need about 1MB space per minute of audio. So, if you record a few sessions of half an hour long (30mins = approx 30MB) to start with and intend to make a half-hour segment per week, you’ll need to start with storage space of about 100MB which increases by at least 150MB per month. Plug in your own proposed segment lengths and frequency to get your personal estimate. Bandwidth requirements for podcasts will entirely depend on your audience. Let’s say you had 100 listeners (quite a lot for a new podcast) which means each person automatically downloads each of your 30MB weekly installments. Essentially, you’re going to need 100 times more bandwidth allocation per month than your monthly storage needs. In this case, you’ll need at least 15GB bandwidth to get you through the month. With video files, it varies wildly depending on the compression you use. For instance, an MPEG-4 can average about 15MB per minute of video, while an AVI file can average 60MB per minute. That’s a huge difference! But, lets say you’re using MPEG-4 to make a 30 minute video. That could be 450MB! If you start with three videos that size and want to do one a week, you’d need a start-up space of about 1.5GB and an increase of 2.5GB per month. Bandwidth needs for video podcasting? Let’s just leave it at LOTS. Where Can You Easily Host A Podcast For Free? With free dedicated podcast hosting you generally have peace of mind, knowing that you will not be charged more than you can afford for hosting and that a reputable company is backing up your data for you. Plus, many of these hosts will help to promote your feed wherever possible to people with similar interests. Because of the size of video podcasting, it’s usually recommended that you use a free dedicated service rather than hosting your own. YouTube and Blip.tv are both good options. YouTube limits each file upload to 15 minutes and 2GB at a time. There’s no limit to the number of videos you can upload. Blip.tv doesn’t seem to have a size limit or a limit on the number of videos you can upload. To submit to podcast directories though, you may need to do a little hacking. 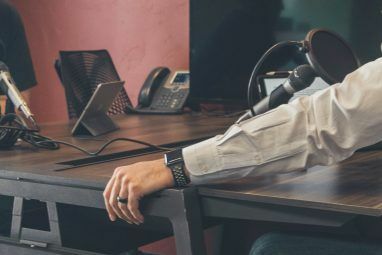 With audio podcasting, the free podcast hosts generally come with size and bandwidth limitations. Plus, they may place adverts in your audio or on the web page your feed is promoted on. Another serious limitation is that they often require you to download their own software to upload your audio. 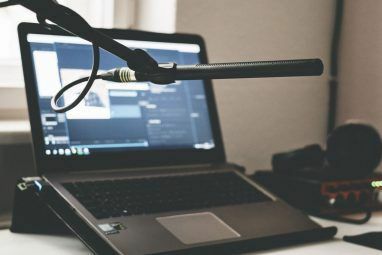 Due to these limitations and the much smaller size of audio files, it’s recommended that hobby audio podcasters either use a dedicated free service or a free file storage service with a free blog. Meanwhile, professional audio podcasters are recommended to use their own hosting and blog. If you choose to host your own podcast, don’t forget that many file storage services and personal web hosts have bandwidth limitations or possible extra charges. Make sure you read all the fine print and work out your real costs. Many of you just want a simple, free one-site-does-everything audio podcast solution, like the video hosts previously mentioned. I have seen several options and, due to the various limitations, would only be comfortable recommending Podomatic. The other options simply have too many limitations on free accounts. Also, if you ever need to upgrade to a paid pro account, Podomatic has some great options that won’t require you to relocate your podcast. Podomatic is really easy to use. Sign up only takes a minute and you can be uploading audio or video in no time at all. Although, if you keep in mind the size of video, you’ll realise the free account is best suited to audio podcasts. 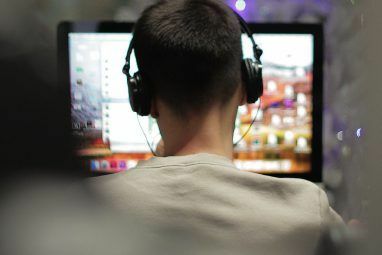 There are many uploading options, including recording the podcast using the website, uploading a file through the web interface or uploading via FTP. This means you are free to make your podcast using your favourite tools on your computer, like GarageBand How to Create & Broadcast a Podcast with Garageband [Mac] How to Create & Broadcast a Podcast with Garageband [Mac] Read More . Each episode gets an individual photo for promotion purposes and the Podomatic podcast directory will help you promote your feed to people who want to hear it. What more could you want? The above should get you well and truly on your way to starting your podcast. If you have any questions or problems, let us know in the comments below and we’ll see if we can help. I use blip.tv for my screencast and it uploads to iTunes and a few other video directories. Thanks for the list and tips.